WEBSITE: Hunchy Hideaway | PHONE: 07 5478 5470. 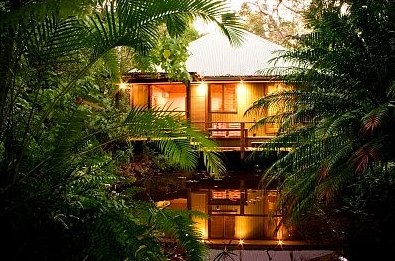 Hidden away in the rainforest of Montville is one of the most luxurious accomodation providers – Hunchy Hideaway. Stunning private cabins surrounded by the tranquillity of nature – ideal for bridal parties, elopements, proposals, honeymoons and romantic getaways. Our secluded retreat cottages nestled in rainforest provide the ultimate romantic getaway, an immaculately presented couples only hinterland hideaway purpose-built for luxury & indulgence. Visit our Hunchy Hideaway website for a complete view of our wedding and honeymoon accommodation services and packages. Email us in the field at right – please ensure you add our business name to the email. Or Phone 07 5478 5470 for a chat.